These accessories are color changing and capable of up to 4.2 Million different color spectrums. These accessories can glow solid, scan, strobe, and pulse in over 15 different digital modes. Designed to easily integrate with your under car kit. They tie into the same control box, giving you complete control of your vehicle lighting at the touch of a finger. The LED GloStix are available in 10", 15", and 24" lengths. The LED wheel well kit includes four 36" flexible LED tubes to outfit your vehicle. The lights are only 1/4" thick and encased in a rubberized tube that will not interfere with your suspension while offering long life. The LED door handle kit comes with everything needed to add lighting behind your handles. At only 1/8" thick they are easily mounted and out of the way. They offer a simple two wire installation and include everything needed to light up 4 complete doors. Backed by Plasmaglows limited lifetime warranty. 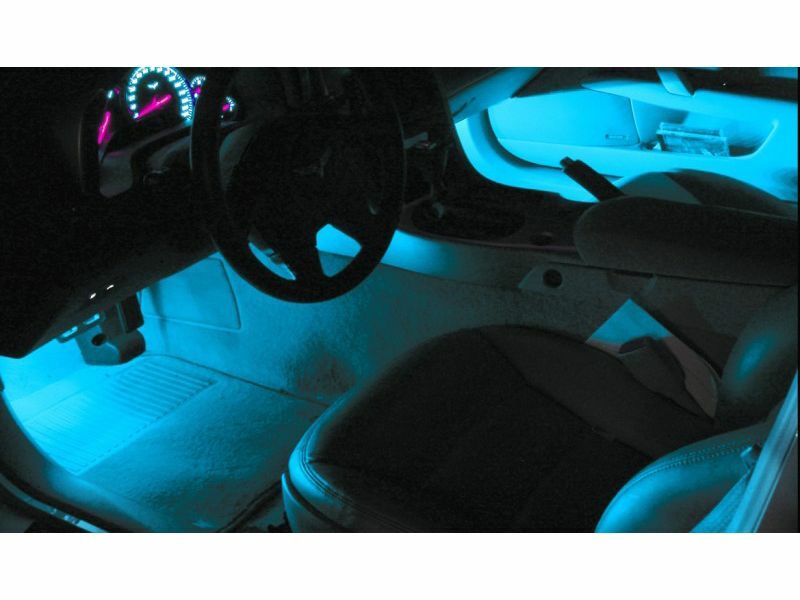 Plasmaglow LED color changing accessories are the perfect way to upgrade and customize your undercar lighting kit. They are compatible with both of Plasmaglow's 2.1 Million Color Kit and the 4.2 Million Color SuperNova Kit. These accessories utilize the control box that comes with your undercar kit, allowing for easy control and color changing. With the touch of your finger, you can change the color and choose from light modes such as solid, scan, strobe, pulse to music, and more. Plasmaglow offers a number of color changing accessories for the interior or exterior of your car, truck, or SUV. They offer a LED lighted wheel well kit, door handle kit, and 3 different sizes of GloStix Tubes that can be used anywhere inside or out. These color changing tubes are available in 10", 15", and 24" lengths to fit any application and making them ideal for your boat, motorcycle, or other vehicle applications. Plasmaglow also offers a wireless key pad remote, allowing users to adjust their color or mode from anywhere inside or outside of their vehicle. Now you can put on a light show without being tied to your control box. Get to accessorizing with Plasmaglow's LED color changing accessories today! All color changing LED accessories are backed by Plasmaglow's limited lifetime warranty. Installing your Plasmaglow LED color changing accessories is a quick and easy job. Installation instructions will be included but if you have any questions at all, please give us a call at 877-216-5446.